Where were you born? Where were you brought up? I was born I believe in Turnbridge Wells, in a hospital. I started my life growing up in a place called Walden House on Marylebone High Street. I went to a local school called St Mary’s, when I was really young. From London my mother and also I were bouncing around my grandparents who lived on Onslow Gardens and my father’s sister who lived in Wimbledon, terrible place that was, by the trains. And then from there my mother married and we moved to a place called Twyford in Berkshire. From Berkshire, we had a tiny little terrace house there, and there wasn’t enough room in the house. There were only two bedrooms. So my parents erected this garden shed at the bottom of the garden with an intercom and that is where I was from the age of 6 till 9. From 4 to 6, I was with my auntie Wisty on the farm, in Pluckley, Kent. Pluckley is really interesting it is the most haunted village in England. 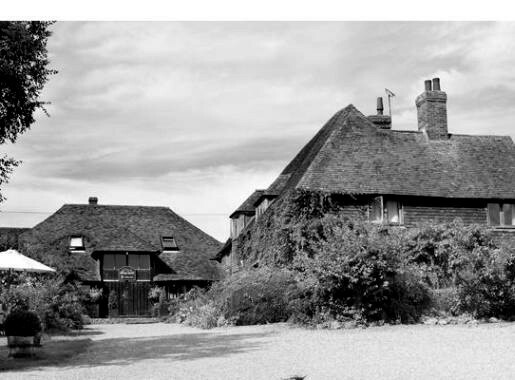 As you look up Elvey Farm, where I lived, it is actually the most haunted house in the village. It was an old farm and my auntie Wisty who wasn’t really my aunt, she was in fact a friend of my mother’s looked after us on the farm. My mother couldn’t look after us in the swinging 60’s., We were shoved around between different people. Elvey Farm has been turned into a Boutique Hotel in 2007. Where do you feel from? Surprisingly Europe somewhere. England has always been a bit foreign to me. I mean I don’t like beer, I don’t like football, and the weather is terrible, so. Do you think your origins influence your art/enhance your vision? No, I think the travelling did but not where I am originally from. Having said that, I think definitely genetically there is some information. My family originates from Russia and Germany somewhere a long way back that definitely makes the work the way it is today. My grandfather is German and I have often heard people say my work is very German in the style and of course there are things in there that were very German so definitely genetically. Somehow the information moves around and helps me create what I create through experiences in mind or in my genes. I used to paint in my spare time. I didn’t have that much time to paint because there were always more important things to do to make money. In the year 2000 I moved to New York. There, I was offered a chance to use someone’s studio and the paints and the canvas, so I started painting there and I realized how easy it was for me to paint and somehow, I really don’t know how it happened but people seemed to like what I did. I suppose the ultimate understanding of whether someone really likes something is if they buy it and people used to buy what I created so that was really the good start. Who was your favourite artist as a kid? 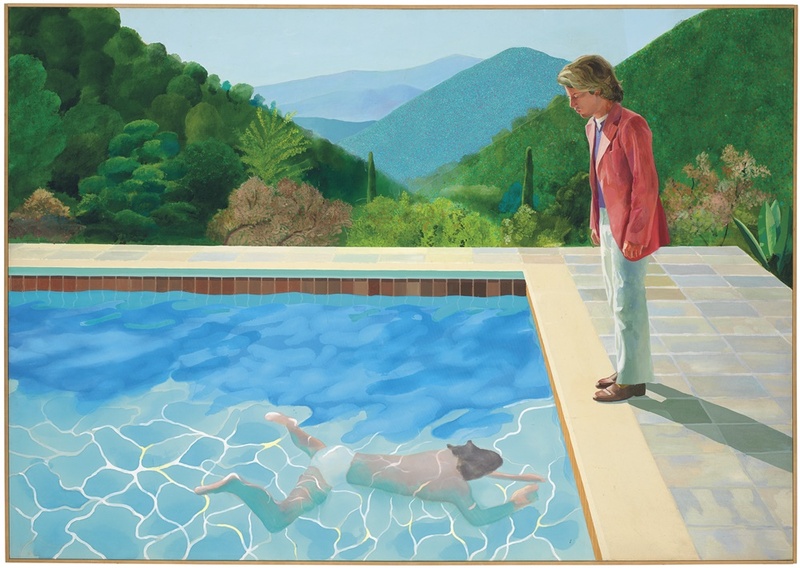 I think David Hockney, wonderful colours, composition. Are you a natural or did you study your art? I am not sure if anybody is a natural at anything. I think you have to work really hard at something to make it into something and I work really hard. I think you have to have a natural ability to have spatial skills definitely. But to be what I am today, I wouldn’t be able to create things the way I do today if I didn’t have a lot of hard work behind it. Where was your first exhibition? First exhibition was in London. In the 80’s but I wasn’t a professional painter at that time. It took place in the Church Gallery just off Oxford Street, at Marble Arch. What did you learn from your first exhibition? That I had to produce more paintings. What convinced you to pursue your art career full time? It was something I was forced into. When I came to NY I wasn’t allowed to work because I didn’t have any papers and someone suggested “why don’t you go sell your artwork in the street?”. I didn’t have many artworks, I had a couple. Things I had done in a trip to California. That paid the bills and kept me and my family alive. The people around me and especially when I am painting outside there is a lot of interaction with the people. So yes, everything around me. Do you feel protected or exposed by your art? Exposed definitely. I mean, you are showing yourself, you are just open. People can see what you are because you open yourself up. It’s like being on stage, so people look at the painting and they make their own judgements on what they see. It’s not a personal feeling it is very public. If there were a message in your art, which one would you like people to get? A light sense of humour, something witty, a light feeling. A nice light feeling. Do you agree with “everything is personal, everything is political”?